The University of Southampton has formed a new partnership with Medidata, to accelerate drug development across the UK and make it more efficient. Medidata provides cloud-based platforms for clinical research in life sciences. Southampton’s Clinical Trials Unit (SCTU), which is part of the UK Clinical Research Collaboration, will use the Medidata Clinical Cloud® to conduct more complex and scientifically rigorous clinical research. SCTU’s portfolio, supported by core funding from Cancer Research UK and support funding from the National Institute for Health Research (NIHR), consists of a diverse set of clinical research studies, including early-phase industry collaborations; multi-arm, multi-stage phase II and phase III trials; large pragmatic trials and stratified medicine programme trials. SCTU will use Medidata’s platform technology to generate high-quality, standardised data that industry partners could use to support late-stage development programmes and drug approval submissions in the UK and US. “At the Southampton Clinical Trials Unit, University of Southampton, we pride ourselves on working with the most skilled, experienced partners, investigators and sites to conduct high-quality, efficient trials. 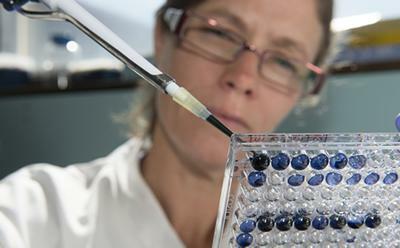 This new development could lead to more impactful clinical results that will potentially benefit the future treatment of patients in the UK and further afield,” said Professor Gareth Griffiths, Director of the Southampton CTU. The cloud-based technology will be used for electronic data capture, management and reporting, clinical trial management and medical coding, which will enable the SCTU to streamline clinical trials across all therapeutic areas, including oncology, respiratory, critical care and psychology. The first two studies using the Medidata Clinical Cloud will focus on asthma and bladder cancer. “Southampton’s Clinical Trials Unit is well known across the UK for its expertise in the design, conduct and analysis of complex clinical trials,” said Christian Hebenstreit, Medidata’s managing director of EMEA.